The Government will levy a tax on every copper fixed line broadband connection in the UK in order to create a fund to ensure those in rural areas have access to next-generation services. There will be a levy of 50p per month on each copper phone line, with the Government hoping to build a fund of up to £175 million by 2017 in order to make sure the Final Third (ie the areas that struggle to get broadband speeds enjoyed by those with strong infrastructure) get high-quality networks. The tax will be collected by broadband operators as part of normal monthly contributions, and will begin from 2010. However, households on low income will not be affected. 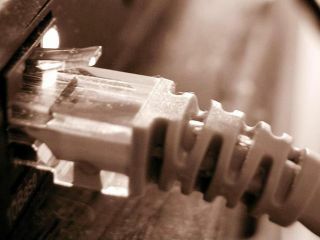 The Government has justified the collection of £6 per year by stating that the cost of broadband connection in the UK has fallen so significantly that it's only fair that some of that saving is plugged back into the infrastructure. "Against that background, the Government believes that it is right to share a small part of that saving, and that a Next Generation Fund supplement of 50p per month on fixed lines represents a fair and sensible national investment to ensure that the overwhelming majority of the country can get access to next generation broadband." Those network operators that want to get hold of the Fund to provide the next generation broadband service would then have to tender the Government group in charge of the project. The Government has pledged to improve broadband infrastructure so every home can access at least 2Mbps broadband speeds by 2012. The current estimate has stated that around 89 per cent of home can pick up this speed already, and of the remaining 11 per cent the report believes that using iplates, like those offered by BT, means that 4 per cent of households can sort the problem themselves. Of the remaining 7 per ceny, the Government will concentrate on those without a connection, and will look to resolve any specific problems related to wiring or similar. However, the main strategies have not been set out, so the Government will create a specific body in order work out the most cost-effective and technology agnostic way of bringing 2Mbps broadband speeds in the UK.